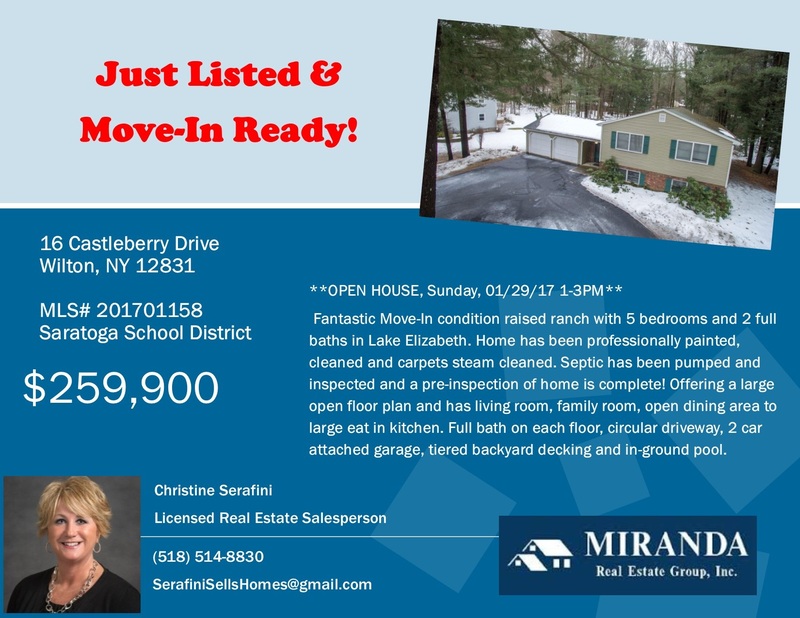 JUST LISTED HOME IN WILTON! Move-In Ready 5 Bedroom, 2 full bath home in Lake Elizabeth Neighborhood. Home has been professionally painted, cleaned and carpets steam cleaned. Offering a large open floor plan and has living room, family room, open dining area to large eat in kitchen. Full bath on each floor, circular driveway, 2 car attached garage, tiered backyard decking and in-ground pool. Saratoga Springs School District. Low Taxes!